Unlike other markets, the online grocery growth in France (and to a lesser extend Sweden) is fuelled by click & collect. With Drives pick-up points dotting suburban France, retailers are looking to expand their reach to urban centres. 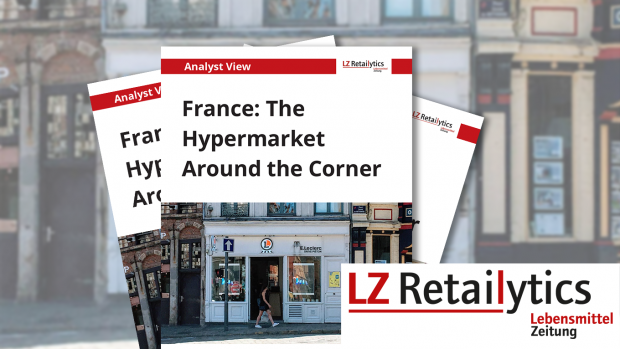 LZ Retailytics data shows hypermarket operators push online grocery to gain market shares. France is a clear example, with most of its hypermarkets now equipped with Drive click & collect locations, and standalone units dotting the landscape. To tap into urban centres, French big box operators experiment with locations dedicated entirely to the storage of online grocery orders for customer collection. Offering as much as 30,000+SKUs but requiring as little as 50 sq m space, can the business model be financially sound? Will these shelfless corner shops set new customer expectations in terms of pricing, assortment and service levels? Could they threaten home delivery services, or even neighbourhood stores? LZ Retailytics shares its take on it.